Android is Google’s Operating system for mobile devices, and you may have listen from various sources that Android is growing at a rapid pace. Due to its increasing popularity, its becoming a danger to already established Symbian, Apple’s OS for the iPhone and Microsoft Windows Mobile OS. If you are planning to buy a new mobile phone, surely give a look at some cool Android phones in the market. The best part of Android phones are its applications. There are millions of apps already presenting in the Android market and thousands of new apps are being added each month. And if you have already an Android phone user, you must be looking for some cool and best Android apps for your phone. In this article, I am compiling a list of free Android apps which are added recently and available for download. It means these are some fresh apps which you probably haven’t heard of. So, have a look on SaveDelete’s compilation of 8 fresh and free Android Apps you probably haven’t heard of. These free Android apps will help you to listen FM, keep track of latest news, twitter updates from your favorites games like NBA, NFL and much more. 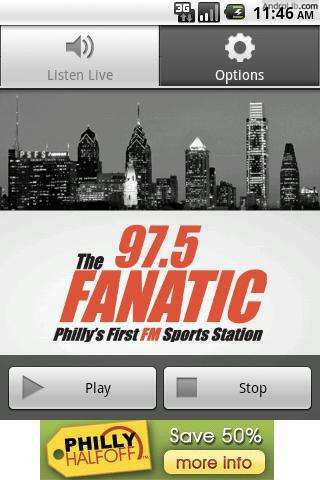 1) Greater Media Interactive : There are free Apps for each of GMR’s Philidelphia stations, 93.3 WMMR, 97.5 The Fanatic, 95.7 Ben FM, and 102.9 WMGK. 2) Pinch to Zoom : Why wait for your 2.1 upgrade to start using Pinch To Zoom when you can do it now. Just download this App and in seconds you can view all your images with Pinch To Zoom gestures up to 10X magnification. 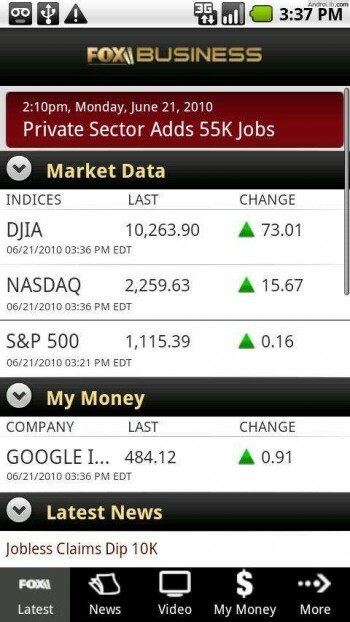 3) FOX Business : Stay connected to the stock market wherever you are with FOX Business for Android. Create your own portfolio to track your stocks and set alerts or watch FBN video clips directly from your phone. The FOX Business Android application makes it easy to keep up with the day’s latest financial news and market updates. 4) AP Mobile : Stay connected anywhere in the world with AP Mobile for Android! Tap into breaking stories, browse dynamic photos and videos, customize your news categories and share articles with friends. Bringing you news from more than 1,200 trusted local sources, national and international coverage, AP Mobile is the News. 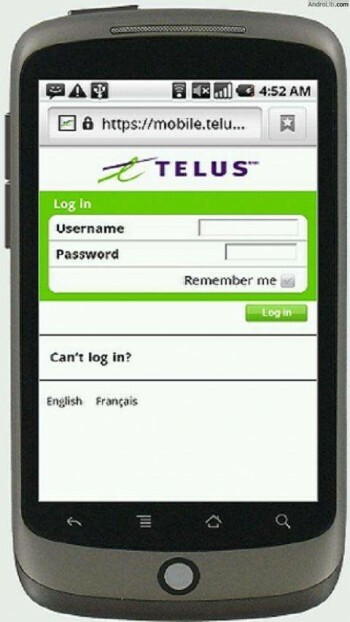 5) Telus Device Self Service : TELUS Mobile Customer Self Service enables you to offer customers secure access to their personal accounts, transactions, payments and support – all from their mobile devices. 6) Lete Tweet Lite : LeteTweet Lite provides the latest tweets from over 680 NBA, NFL, and MLB players and over 550 local sports commentators. 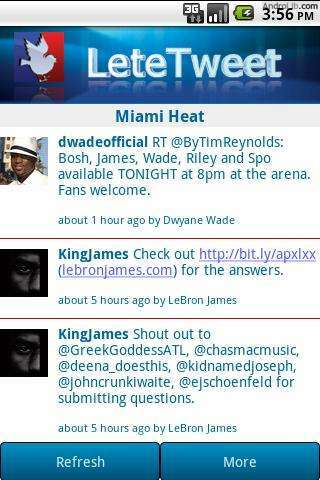 Get the latest news and twitter updates sent straight to your phone! 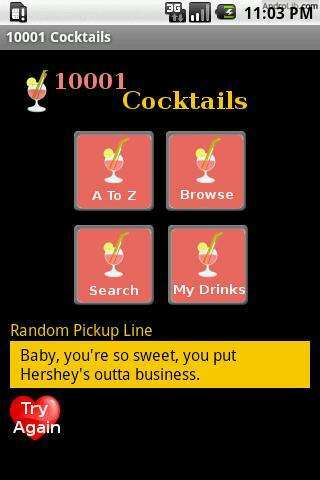 7) 10001 Cocktails : 10001 Cocktails puts the bartender in your pocket! Browse our preloaded recipes or search thousands of drinks on our web site! Bar drinks organized into alcohol categories including brandy, rum, shots, whiskey, tequila and more! Great for pub nights! 8 ) Marine Weather by Bluefin : Marine Weather is a free, ad-supported weather app providing users access to marine weather forecasts and live station data. Includes all US coastal regions inshore and offshore, the Great Lakes, Alaska, and Hawaii.